Opus Dei has around 90,000 members, both men and women. 98% are laypeople, most of whom are married. The remaining 2% are priests. Most members of Opus Dei seek God also in marriage. Opus Dei is made up of a prelate, a presbyterate or clergy of its own, and laity, both women and men. There are not different categories of member in Opus Dei. There are simply different ways of living the same Christian vocation, according to the different circumstances of each one: married or single, healthy or sick, etc. The majority of the faithful of the Prelature (about 70% of the total membership) are supernumeraries. Generally they are married men or women, for whom the sanctification of their family duties is the most important part of their Christian life. The rest of the faithful of the Prelature are men and women who commit themselves to celibacy, for apostolic reasons. Associates live with their families, or wherever is convenient for professional reasons. Numeraries usually live in centers of Opus Dei, and are completely available to attend to the apostolic undertakings and the formation of the other faithful of the Prelature. Some of the women numeraries, called numerary assistants, dedicate themselves principally to the domestic responsibilities in the centers of the Prelature, which is their ordinary professional work. They strive to faciliate the apostolic work, their own and that of the other members, by creating the atmosphere of a Christian home. The decision to ask for admission in Opus Dei as a numerary assistant requires a liking for working in the home and the desire to acquire an adequate professional preparation. Just like the numerary women who also sometimes take on this same work in the centers of Opus Dei, they carry out this work not as "employees" in someone else's home, but as mothers or sisters working in their own home. 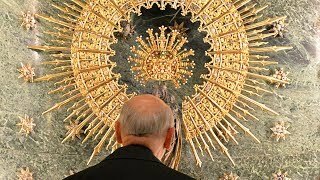 The priests of the Prelature come from the laymen of Opus Dei: numeraries and associates who are freely disposed to be priests and, after years of belonging to the Prelature and having done the studies required for priesthood, are invited by the Prelate to receive holy orders. Their main pastoral ministry is to serve the faithful of the Prelature and the apostolic activities promoted by them. 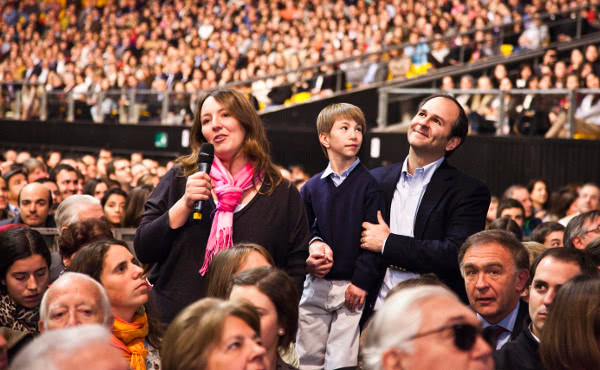 A characteristic feature of Opus Dei is its Christian family atmosphere. This is present in all the activities the Prelature organizes. It is evident in the family warmth found in its centers, in the simplicity and confidence with which the members deal with one another, and in the readiness to help, the understanding, and the kindness they always try to display in daily life. How does one join Opus Dei? Holy Week in Rome: The Church is Young! 1. Holy Week in Rome: The Church is Young! 9. Saint Josemaria's "Theology of the Donkey"